﻿﻿Known as the gateway to the Pyrenees, this beautiful city enjoys a spectacular mountain backdrop. 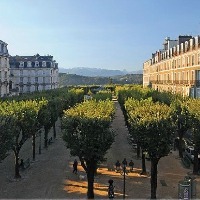 It offers many parks, shops, places to eat museums, and sights, including the Chateau de Pau, the fabulous Boulevard des Pyrenees and the (free) funicular railway connecting the lower and upper parts of the town. 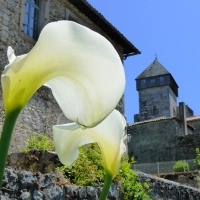 A few minutes from the chalet, Bagneres is the regional centre and offers a good mix of cafes, shops, restaurants and bars, as well as a fabulous spa. 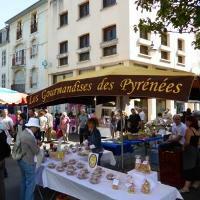 The Saturday market is a great event with lots of local produce on sale. There is also a couple of museums and the tourist office can advise of local events happening during your stay. 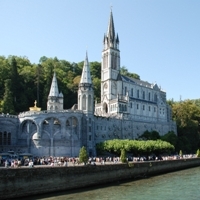 A member of the Plus Beaux Villages de France, this village comprises an 11th century cathedral, roman ruins, archaeological museum and town walls and can be reached in about an hour by car. 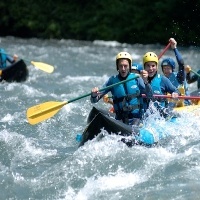 There are several centres that offer the opportunity to go white water rafting as well as canoeing and other water sports. 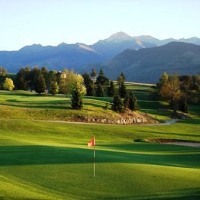 One company is Sport Nature Hautes Pyrenees. Find out more on their web site at www.sport-nature.org. 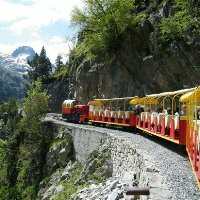 Europe's highest train takes you through the mountains to the Lac d'Artouste, providing stunning panoramas en route. The whole trip takes about 4 hours and costs around 20 euros per person. 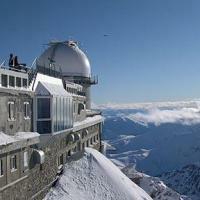 Europe's highest observatory offering fantastic views of the mountains and plains is accessible by cable car from la Mongie. The summit visit also includes a museum and the site has a restaurant and gift shop. 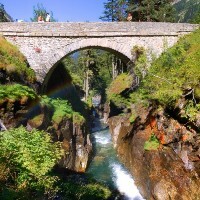 Located above the town of Cauterets in the Pyrenees National Park, the Pont d'Espagne is one of the "Grand Sites" of the Pyrenees. It is a protected area giving access to two major valleys with a series of walks which take in waterfalls, lakes and offer fantastic views. A UNESCO world heritage site since 1997, the cirque is a high amphitheatre reaching 3248m at its highest point with a 400m waterfall which is the biggest in Europe. The nearby Cirque de Troumouse is also worth a visit as part of a full day trip. 25 minutes drive from Villa Tamerza, this important Catholic pilgrimage site receives 5 million visitors and pilgrims each year. Use the funicular to access the Pic du Jer which offers panoramic views of the mountains and surrounding countryside. 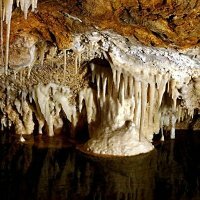 This protected underground chasm boasts huge caves and rock formations made principally of aragonite. Guided tours are available with son et lumiere exhibitions, although visitor numbers are restricted. Open most of the year. 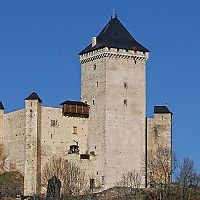 Originally built in 1607, this castle in the Baronnies Valley is just 20 minutes from the Chalet. Visit the restored museum, tour the Castle then picnic and relax in the castle grounds for the afternoon.